FULTON, NY – A field of 46 teams took to the links for a day of golf and fun in the 19th Annual United Way Golf Tournament, held recently at the Oswego Country Club. The National Grid team shot a 63 to capture first place in the morning flight of the United Way of Greater Oswego County’s Annual Golf Tournament held recently at the Oswego Country Club. Pictured from left are team members Tim McNamara, Wally Dengos (Captain), Denny McCarthy, and John Byrnes. This year’s event featured two compete tournaments: a morning flight and an afternoon flight. In the morning flight, The National Grid team carded a 63 to capture first place. Top individual performers in the morning flight were: Chuck Handley and Grace Burritt closest to the pin on hole 4; Jon Spaulding and Darlene Derocha closest to the pin on hole 18. Pete Cullinan and Grace Burritt, longest drive on hole 1. The team from NRG won the putting contest. In the afternoon flight the Planned Results, Inc. team shot a 61 to finish in first place. Top individual performers in the afternoon flight were: Jeff LaBoueff and Aimee Johnson closest to the pin on hole 4; Adam Occhino and Diane Hudson closest to the pin on hole 18. Brian Kenney and Marion Ciciarelli, longest drive on hole 1. 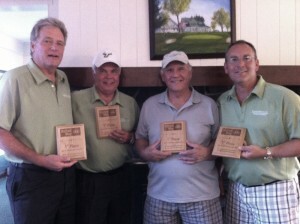 The team representing Planned Results Inc. carded a 61 to capture first place in the afternoon flight of the United Way of Greater Oswego County’s Annual Golf Tournament held recently at the Oswego Country Club. 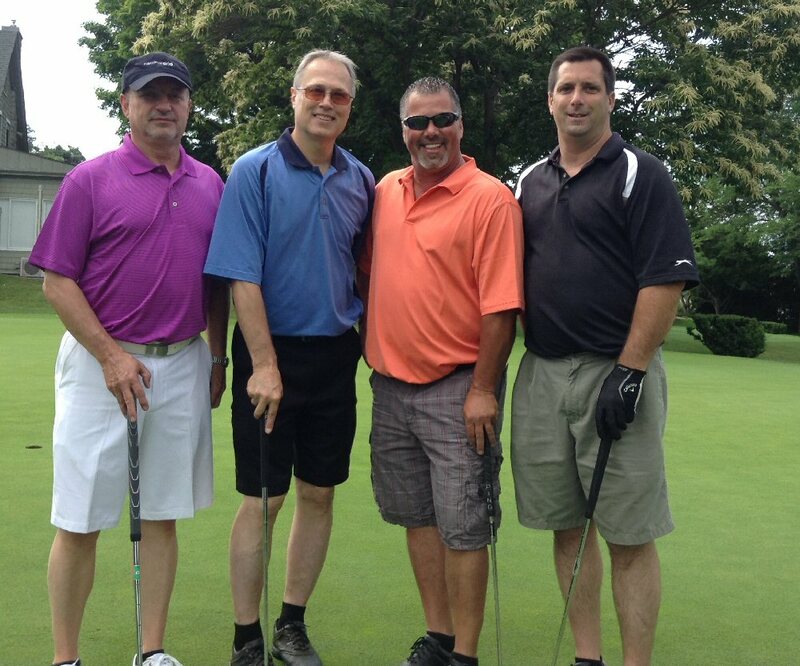 Pictured from left are team members John Schmitt, Kevin Riley, Roy Schaberg and Bill Lovine. The team from Domino’s Pizza won the putting contest.